SS431 bright bar dia from 8mm to 250mm, Moq is 1 ton. Bhansali Stainless Wire Pvt. Ltd. Tolerance:h9,h10,h11,ASTM 484 or as per requirement. Shapes :Round Length :3 / 4 / 6 meters (12 / 14 / 20 ft.) Length Tol:0/+200mm (-0/+1ft) or as per requirement. As a customer requirement. Specification:3mm-60mm cold drawn bright surface, 120mm-300mm hot rolled black surface. Short on time? Let bright-bars sellers contact you. Nevatia Steel & Alloys Pvt. Ltd. Stainless steel bright bar Sizes (dia.) available from 2.50 mm to 6.00 mm in all lengths upto 6 Metres. 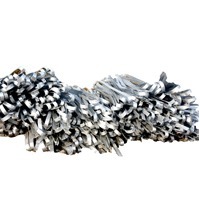 Available in various grades - AISI 304, 304L, 316, 316L, 303, 303EHS, 310, 321 Bar in bundles per kg. Wrapped in either HDPE or jute & polythene. Seaworthy packing done for shipments anywhere in the world. The company brings forth the fines quality MS (mild steel) bright bars. 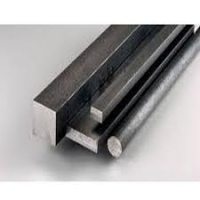 Manufactured from the best raw steel alloys our steel bright bars are very strong and durable in nature. 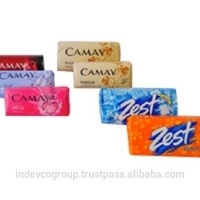 They are available in various shapes and sizes like round, square, flat and hexagonal. ROUNDS: 6mm to 80mm SQUARES: 6mm to 40mm HEXAGONALS: 6mm to 40mm We offer superior quality bright bars in a variety of grades, sizes and tolerances. Size Range 5mm - 100mm (1/5" - 4") Applications They are extensively used in the Automobile industry and products like nuts, rivets, studs, bolts, connecting rods, piston rods, drills, pouches, injector, connecting rods, axles, propeller shafts and many more. Supply Conditions Length - 3 to 6.5 Meters Cold Drawn, Centreless Ground, Peeled & Polished, Rough Peeled or Smooth Turned bars Tolerances - h9, h10, h11, k12, k13 Grit Polish as per Customer's Request Heat Treatment- Annealed, Solution Annealed or Water Quenched Bars End Finish - Chamfered ends, Plain ends without Burrs or Sharp Edges Specifications - As per EN, DIN, JIS, ASTM, BS, ASME, AISI, etc. JIS, AISI, ASTM, GB, DIN, EN Dimensions 5-300mm Grade:304/304L,316/316L etc. Shape: round Finish bright . Plastic and woven pack in bundles. Available in Different specification: 1. Tmt bars 12mm , 16mm, 20mm , 25 mm & 32mm@ 33700 /- + gst 18% Tmt bars 10mm @ 34700 + gst18% Tmt bars 8mm @ 35700 + gst 18% Channel 75 x 40 @34800 + gst 18% Channel 150 x 75 @33800 + gst 18% Channel 200 x 75 @ 32300 + gst 18% The above rates are for limited quantity and against proforma invoice . We are pleased to inform you that we are the Authorised Dealers of SAIL with the following prices of TMT bars and Channels : TMT Bars 12mm , 16mm, 20mm , 25 mm & 32mm@ 33700 /- + GST 18% TMT Bars 10mm @ 34700 + GST18% Tmt Bars 8mm @ 35700 + GST 18% Channel 75 x 40 @34800 + GST 18% Channel 150 x 75 @33800 + GST 18% Channel 200 x 75 @ 32300 + GST 18% The above Rates are for Limited Quantity and against Proforma invoice . 1, size of 5120/1.7147 alloy steel bar Round bar diameter(mm) length (mm) 20~800 3000~9000 Plate thickness(mm) width (mm) length (mm) Max:800 max:2200 max:9000 The specification can be customized. 2, chemical compositons C si mn p s cr mo ni 0.17-0.23 0.17-0.37 0.60-0.95 â?¤0.035 â?¤0.035 0.40-0.70 0.20-0.30 0.35-0.75 3, features of 5120/1.7147 alloy steel bar steel 1, hardenable chromium molybdenum nickel low alloy steel; 2, can be supplied in â? ?hâ?� condition with controlled hardenability; 3, provide controlled response from heat to heat; 4, typical core strength up to rc41. 4, typical applications 1, wide application in the automotive industry; 2, used for gears, ring gears, shafts and crankshafts; 3, for bearing races, pins and high tensile chains. Songshun company introduction Located in chang'an town - the famous town of mould in pearl river delta; Providing complete services from manufacturing and marketing to distributing; Steel exported all over the world; Service like peeling, milling, grinding, cutting and heat treatment etc... All steel must pass high quality detection; 24/7 hours online service with quick response ! Vishwa Stainless Pvt. 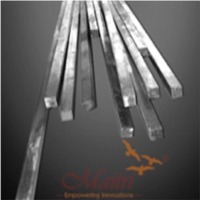 Ltd is specializing in manufacturing stainless steel bright round bars. 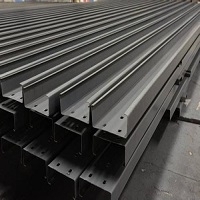 Our streamline manufacturing process out come export quality and finished SS Bright Bars. Our standardized quality manufacturing process helps us to gain our reputation as top notched Stainless Steel Bright Bars exporters in India. Our products are available in various grades including Stainless Steel 201, 202, 204CU, 302, 302HQ, 303EHS, 304, 304HC, 304L, 309, 310, 310S, 316, 316L, 316TI, 321, 17-4PH, 15-5PH & 400 Series. 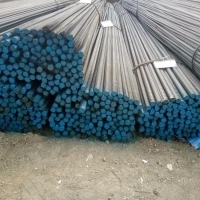 Our aim is to provide superb quality SS bright round bars at competitive price. Contact us today and we will get back to you with the very reasonable quote. Size: 5.00 MM to 105 MM.Tolerance: h7, h8, h9, k12, k13. Standard: As per EN, DIN, JIS, ASTM, BS, ASME, AISI, etc..Length: 1 to 6 meters & as per cusomter requirement.Finish: Cold Drawn, Centreless Ground, Polished, Peeled & Polished, Rough Turned.